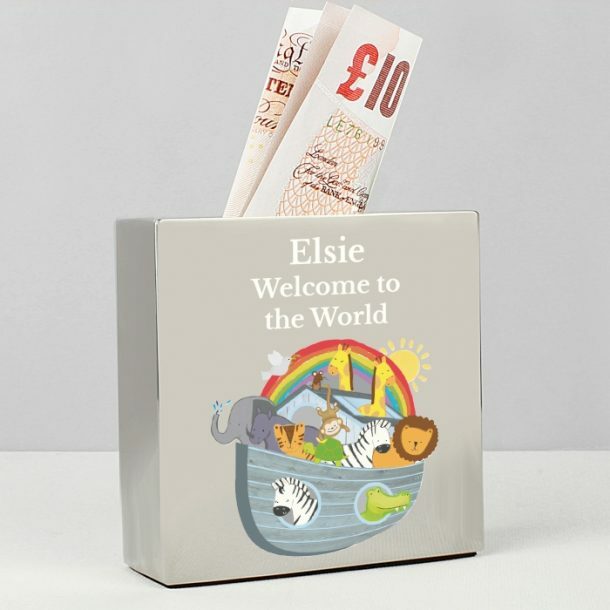 This Personalised Noah’s Ark Square Money Box is a must have for savers! 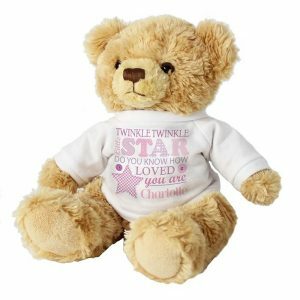 A thoughtful Christening gift, or a way to say ‘happy birthday’ this durable money box is a great way to make saving pennies fun. 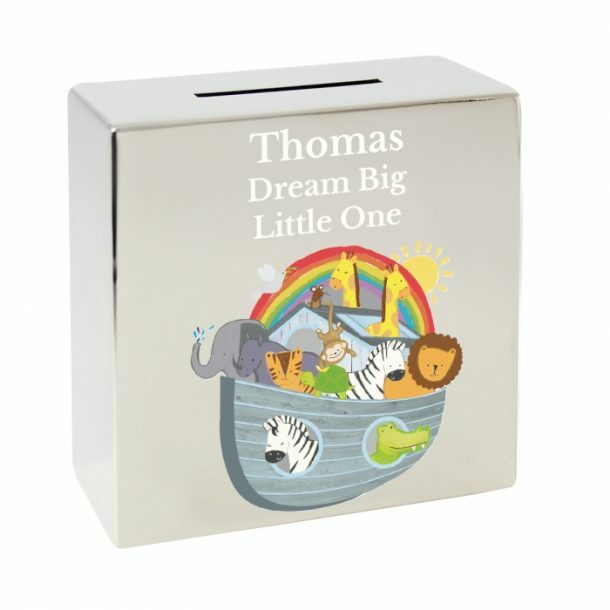 Made from nickel plate the front shows an adorable Noah design, and is suitable for all coins and notes. Fitted with a swivel stopper on the base, any child will love being part of Noah’s adventure. 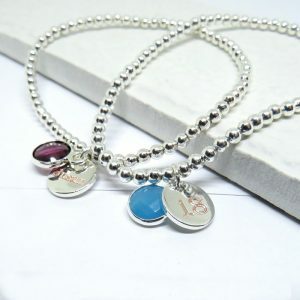 Bursting with detail, the front will also display a message from you, any name and two lines of text will be added. 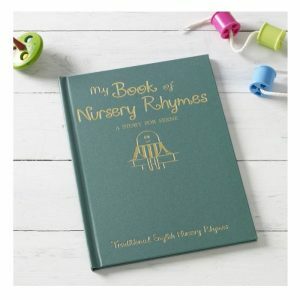 A fantastic gift for a new born, christening or birthday, and one that will be filled in no time!